You need to have a medical marijuana card if you want to make use of this medicinal weed in a legitimate way. Marijuana is remedial against various fatal diseases like AIDS, cancer, asthma and common diseases like nausea and vomiting etc. This is required because the federal treats this plant as detrimental to the society. To get this card issued from the state you can follow the instructions given here in 420 College. If you are looking to set up a business where you are planning to cultivate and supply marijuana you should have medical marijuana card. 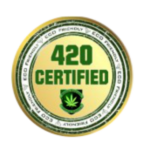 Nowadays due to internet access you can even apply online for the medical marijuana card. 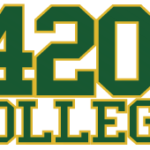 You can always call or email 420 College staff, faculty or instructors if you want further assistance, we’ll do our best to answer your questions all for FREE! Sessions are designed to help you start a medical marijuana delivery service, collective cultivation garden and grow your service business – We can scheduled these consultations for you – at anytime. Any question is a good one – let’s get you started, with ALL the facts! At the end of your consultation you’ll walk away with a medical marijuana delivery business GUARANTEED!! ALL the legal requirements and relevant paper work required to start and run a legal medical marijuana business in California. We will cover how to operate your business legally and safely so that you NEVER run the risk of breaking the law and have the best chance at delivering quality medicinal materials, consistently, to your own co-op, collective, club or for your own delivery service patient members. We’ll give you all the paper work needed to start RIGHT AWAY – as soon as you are ready* – in the 1-On-1 consulting session. You will have direct contact with 420 staff that will guide you through document completion and filing – so you get it right – the first time! We can come to you no matter where you are in California.